Patterns of Play have teamed up with Equipo FC to design and produce a unique collection of handmade tote bags. A range of old football shirts have been carefully chosen and remoulded into something completely new. Something that fans can wear with pride, not only to the stadium but everywhere they go. Each bag represents a different team and has been stitched together by hand into a one-off piece of work. So now you can carry your daily possessions or half-time snacks inside something that belongs to you and only you. A piece of merchandise that forever connects you with your club’s colours and history and something that will last a lifetime, just like your support for your team. One club. One bag. For life. The first collection is themed on teams from the English Football League including Birmingham City, Hull City, West Brom, Stoke City, Sunderland, Norwich City and Nottingham Forest. 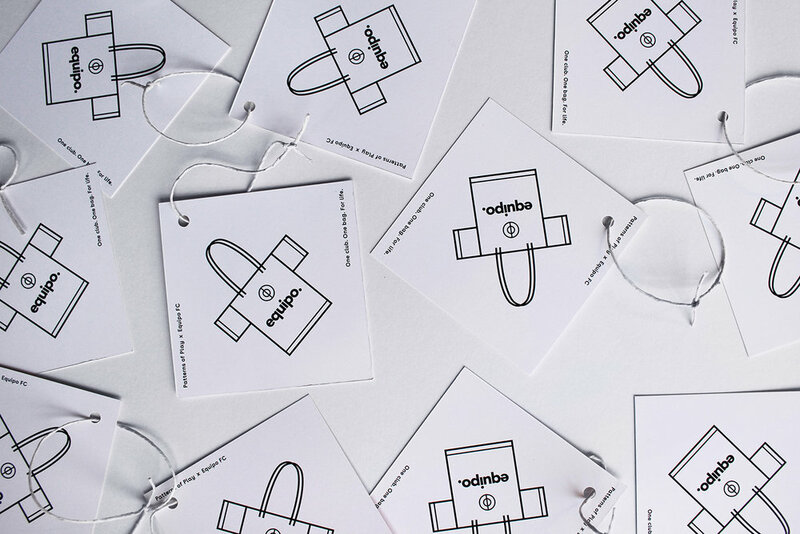 Each bag produced is available to buy online now as a unique one-off piece. Planning is already underway to create further Bags For Life collections covering teams from the Premier League, La Liga, Serie A and many more. So stay tuned for future developments and let us know any particular teams you’d like to see featured.